It all starts here! 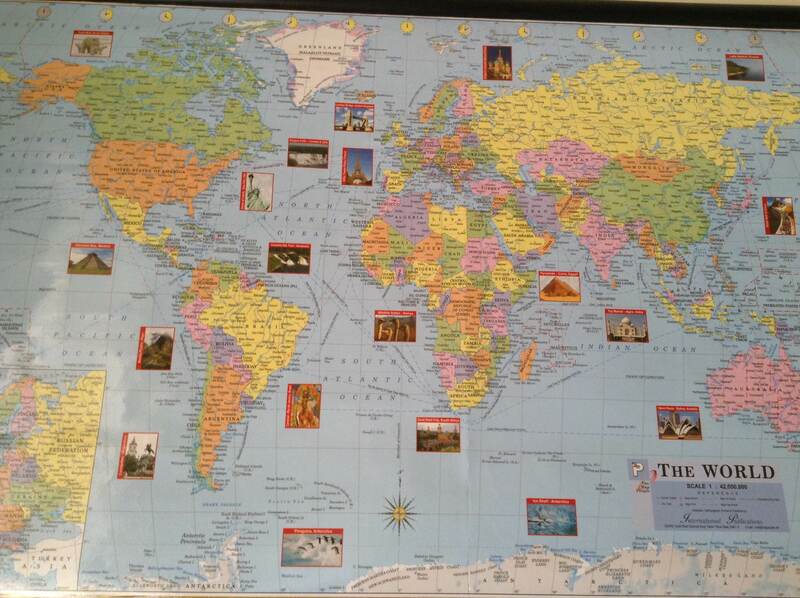 Get hold of a map, either a world map or the map of a country/continent – you’d want to visit. A trip can be planned years, months and sometimes even few days ahead. It’s best to do your research, on the main city; you’d want to start your trip from and figure out the fastest way of reaching other important cities/destinations from there. Moreover, a map helps in creating your own wish list of places – you’d want to see. Once you have a wish list, planning and saving for trips gets easier. Click here for interactive map. Clichéd as it might sound, it’s always best to check out the ‘best time’ to visit a place. You don’t want to end up caught in a snow storm or the torrential rain. Believe me, you’d rather see the place than spend your days cooped in a hotel room. Heat on the other hand can play spoilsport when it comes to walking. The flip-side of planning a trip in the best time is – crowds. Prices shoot and you’d see everyone everywhere. There’s a way to beat this problem. Try searching for places that aren’t on the main tourist grid and find out when kids’ / major religious holidays are in that region. If you want to save money on travel, plan a trip at least 3-4 months ahead. Avoid peak tourist seasons such as summer and winter. Alternatively, you could book just before or at the end of the tourist season. From hotels, B&Bs, couch surfing, relatives/friends to camping sites; explore all options. Basil has promised to write a section on bookings (it’s his speciality), stay tuned. It’s great to know what you’d do day wise, when you’re on a trip. It helps in optimising your trip and you’d get to see more than you could’ve imagined. Transport bookings can be done prior and might turn out cheaper than expected. Sometimes, you can plan a trip for the first two days and take it on as it comes there onwards. Open ended itineraries work when you depend on local weather and road conditions. Since you’re not travelling in peak season, it shouldn’t be tough finding a place to stay in. Make sure, you’ve got printed material of places of interest and things to do. When you reach your destination, go figure! When it comes to communicating, trust your instincts. But learning local phrases won’t hurt. In the most likely event of breakdown of communication, understanding local transport systems, before you leave for your trip, would prove to be a lifesaver! Backpacks for the long haul! Travel LIGHT! It always works! When you’re lugging your luggage around, you’d wish that you had cut down those extra clothes. Take what you need. Backpacks are perfect, although I secretly hate ‘em. Travel bottles, woollens and jackets are essential. Make sure, you’ve studied the climate and terrain you’re considering exploring. While all of the above is totally useful, never try to stick to the plan completely (I can see Basil smiling) or you’d end up getting frustrated. On paper, everything is fool proof. In the real world, it ain’t that easy. Weather/transport problems, language incompatibilities and even finding a place can cause unexpected setbacks. Consider itineraries and travel literature to be a guide. On a trip, you’d realise your own way of travelling and might discover a quaint corner not listed in a popular travel book. Probably, that’s the best part of a trip. You know you want to reach somewhere, but are never sure what you’d see along the way!